There was a guard dog, but i think this thing ate it. Currently residing outside my daughter's window. Nothing to do with Tamiya really, I just thought I'd share. OMG...that looks...huge! What is that??? I made a guess you're in Australia! And thats one of the reasons i could not live in OZ LOL. HeHeHe, They disassemble pretty quickly, but the clean up can take a while. She's only small by rural standards, but I was still impressed. 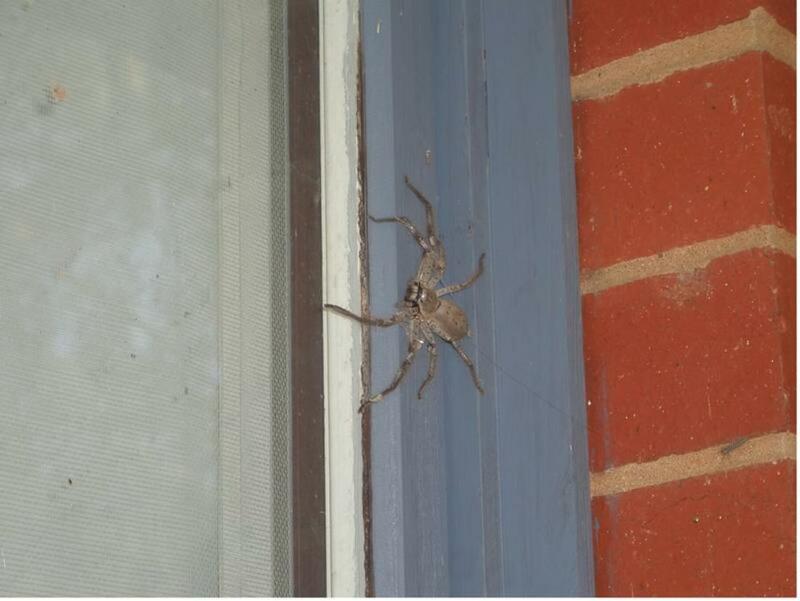 Nice huntsman mate have you named it yet ? we have plenty where I live, the one that lives in my pool shed is the size of a starling (bird) I have named him Eddy maybe I should name it Edwina now they are harmless I like these spiders and wont let anybody harm them at my place they keep the mosquitos down and eat nastier spiders ,They wont kill you if they bite you but they rarely bite humans they are very shy and timid .Nice spider please let her live she does the work we dont like to do .I love the way they flatten out and can half their size to fit or hide in small spaces. Oh,man !! That thing would make me scream like a little girl. I do NOT like spiders and other insectsm,Yowsa !! Nice! 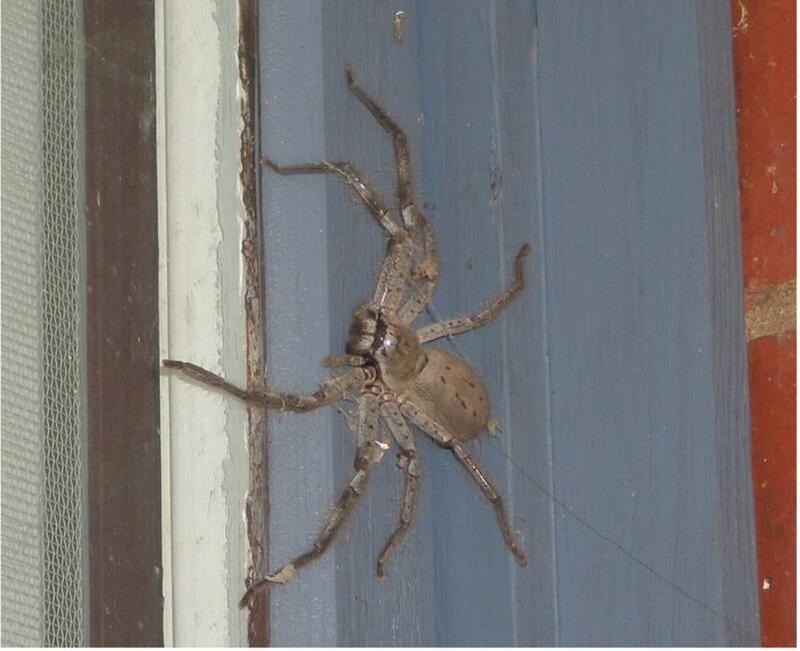 I would be suprised to see one of these crawling around in the Netherlands I guess I'd stick to our small one inch spiders....Although I'd be interested to stand close to one (instead of looking at pics) (Now don't send me one from Australia to scare the crap out of me)! Umm.. i'm arachnaphobia.. I can't bear to see skinny a spider bigger than 2 inch diameter.. This one is way too much!! Swarm is dead on, what an awesome creature! It's only a tiny one! Come visit, I got heaps. I agree with Swarm, let her live, keep the mozzies away. cmon, you must be kidding! these things are made of plastic and they are only available in toy stores. No? ahhhhhhhh.......!!! I agree with the whole inside/outside policy. I'll leave them alone in the yard, but if they come in they have to die! That's one mean looking spider!! No, I won't trade my Brat for that. Don't even bother suggesting it!